Cute way to present Christmas goodies! 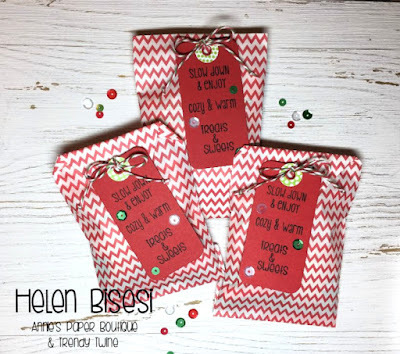 CUTE treat bags! Fun sentiment stamps!